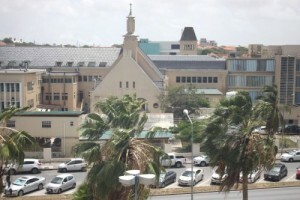 WILLEMSTAD - The Minister of Public Health Suzanne Camelia-Römer announced recently that in order to get rid of two recurring problems, she has made two critical decisions. There will be more medical specialists for the St. Elizabeth Hospital (Sehos) and their budget will be increased. The Minister says that people are waiting between six to eight months to see a specialist. Her conclusion is then that there is a lack of medical specialists. A list has been made of new specialists that are needed and this list was presented to the Council of Ministers last week Wednesday. “I am looking for specialists from Colombia, Venezuela and Cuba,” says the Minister. With regard to the budget of the Sehos, the Minister explains that she is tired of hearing the same problems every month. "The budget goes up by 11 million guilders", the Minister announced. This amount has also been approved in the Council of Ministers. The budget was 124 million guilders in recent years and is now being increased to 135 million guilders for 2018 and 2019.